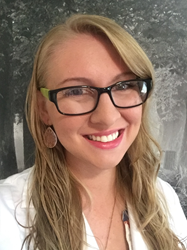 Women's Excellence announces the addition of a new Certified Nurse Midwife, Amanda Varva. Amanda is a graduate of the University of Michigan where she received her MSN in Midwifery. She is certified by the American Midwifery Certification Board. Prior to beginning her career as a nurse midwife, she worked at the Family Birth Center and Karmanos Center for Natural Birth at Beaumont as an RN. She has special interests in vaginal birth after cesarean (VBAC), natural childbirth, LGBTQ health, contraception, and natural family planning. Women’s Excellence is the most comprehensive obstetric and gynecologic office in Michigan. Additionally, they specialize in menopause, weight control, bladder control, endometriosis, robotic surgery, gynecologic oncology, and midwifery services. Women’s Excellence is committed to staying at the forefront of innovation with cutting edge technologies utilizing robotic surgery and minimally invasive surgical options when possible. The knowledgeable, compassionate physicians and healthcare providers of Women’s Excellence focus on patient-centered processes to deliver the highest quality of care. They are affiliated with most insurances. They offer seamless medical record access via a state of the art patient portal and use the latest technology for record keeping and sharing, making the patient experience easier and more efficient. Women’s Excellence is taking new patients and is conveniently located in three locations throughout southeastern Michigan, Birmingham, Lake Orion, and Clarkston. For more information, visit http://www.WomensExcellence.com.